Miguel Gaspar runner-up In an Olazábal golf course: At the La Monacilla golf course in Spain, Miguel Gaspar, reached the best result of his professional career in international golf tournaments, becoming runner-up of Alps de Andalucia, €48,000 prize-money tournament, held in the region of Huelva, in Spain, the win came a week after his friend Pedro Figueiredo, won a Challenge Tour tournament. It was an Alps Tour Golf event, one of the third divisions of the European professional golf and the top-5 of the Order of Merit at the end of the season climbs to the Challenge Tour, the European second division. The professional of Belas golf club, who now trains at Quinta da Ria Golf Club, Algarve, led the leaderboard after a first round of 66 strokes, 6 under the Par of La Monacilla Golf, and on the following days, with rounds of 72 and 70 he remained in the hunt of a possible first title that escaped him by 2 shots. “I’m a little sad because I felt I had a good opportunity, but golf is just like that. I feel very good about my game in general. I played very well in the first day, without a single mistake. I did not play very well on the second and on the third day. I did not hit the ball very well, “the 26-year-old Portuguese told the Challenge Tour Press Office. “We played in a big golf course with a great design, where it’s important to have good shots from the tee to score well, “he added. The La Monacilla Golf Course is a design of José María Olazábal, the twice Masters champion and former Ryder Cup star, and opened in 2010. It is one of the best golf courses of the 2018 Alps Tour Golf. 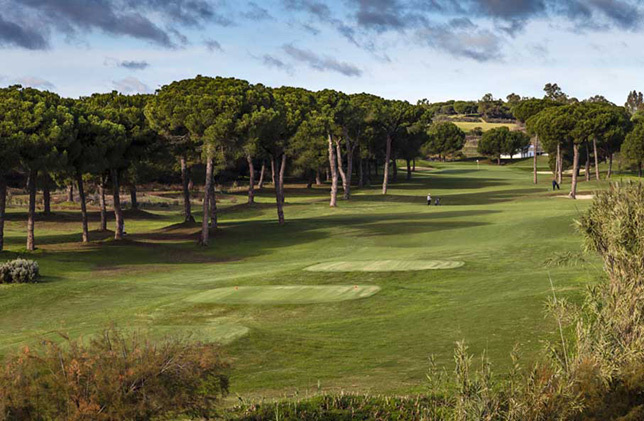 It features fairways with subtle shapes and slopes, as well as large, well protected greens. 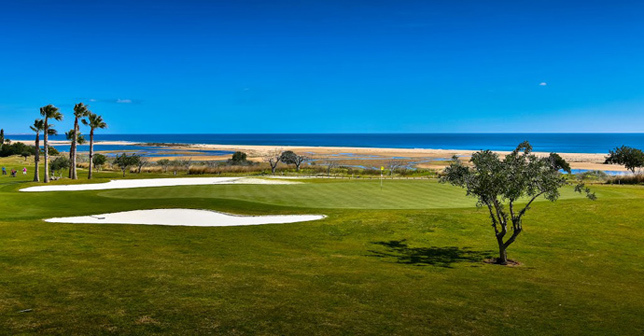 The golf course design fits perfectly with the natural shape of the land and this, allied to the quality of the golf holes, means that La Monacilla is a great golfing challenge for players of all handicaps. There are six tees on each hole, allowing each golfer to choose the layout that best fits to their level of play. Of course the ‘pros’ played from the back tees. The Alps de Andalucia was won by French Alexandre Daydou (68 + 72 + 66), from Reunion Island. Daydou had already lost two play-offs on this Tour and finally grabed the title, collecting a prize of €6,960, to jump from 19th to 4th in the Order of Merit, behind the Spanish David Bordá (the champion of the Obidos International Open), Louis Boyer and Marcus Mohr. Miguel Gaspar, secured 2nd place, on a golf course amoungst 131 players and pocketed €4,728, he should have jumped to the 12th place, but he is not a Tour member. He played only to get more professional experience. “As I only had this sporadic invitation (for the Alps Tour Golf), since I’m playing on the Challenge Tour, also by invitation, I did not become a member”, he explained to Tee Times Golf. Professional since 2013, Miguel Gaspar was one of those players who felt more acutely the difficult transition from amateur to professional. A contemporary of Ricardo Melo Gouveia and Pedro Figueiredo, with who he played in the the World Amateur Championship (The Eisenhower Trophy), in the Portuguese national team, he was always one of the best amateurs of his generation, having even won the FPG Cup, one of the national amateur Majors. But as a professional, even stopping his studies to devote himself to golf, and despite having one of the most beautiful swings of national golf, his good scores took a long time to show up. He started to feel something different in his game at the end of the last year and this season the results were gradually coming up. In the Portugal Pro Golf Tour, the international satellite tour that we can roughly categorize as one of the (many) fourth European divisions, played between November and April, Miguel Gaspar finished below Par in 12 tournaments. 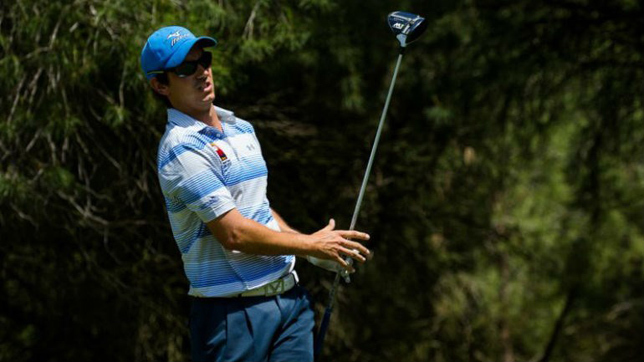 In the opening event of the PGA Portugal Tour of 2018, the Optilink PGA Open, he was 7 under the Par and one month later, in the second tournament of this Portuguese professional tour, the Axis PGA Open, in Ponte de Lima, he was 3rd at level Par. The signs were all there. Sooner or later a great result would appear and it was meant to be in Spain. When almost nobody talked about him, Miguel Gaspar reminded us that he still has a beautiful and increasingly competitive game. But why did this metamorphosis occur now? “The big difference is that since March 2017 I started to be coached by Sebastião Gil and to train at Quinta da Ria“, elucidated. 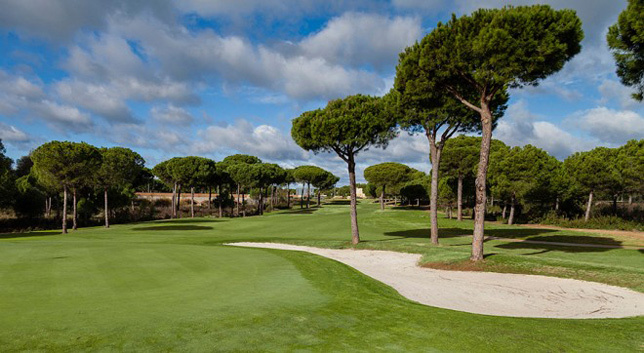 “In Belas Golf course I have the best conditions possible in Lisbon, but here in Quinta da Ria golf course (between Tavira and Vila Real de Santo António) I have the best in the Algarve and I can be more focused on my daily work,” he added. The same decision was taken a year and a half ago by his pal, Pedro Figueiredo, when, at the peak of a crisis of confidence, he resided temporarily in the Algarve, because he felt that there was a more favorable environment for total concentration in his career. “Sebastião Gil, with his character, makes me a better player and a better person,” added Miguel Gaspar, who, in the last Open of Portugal @ Morgado Golf Resort, in statements to the Press Office of the PGA of Portugal, had already talked about it. “I learned a lot with David Llewellyn (the Welsh coach who has been coaching several Portuguese, including his friends “Figgy” and “Melinho”), but I felt something was missing. I feel Gil is very sincere and straight forward. He leaves nothing to be said and feels the needs of the Portuguese players. 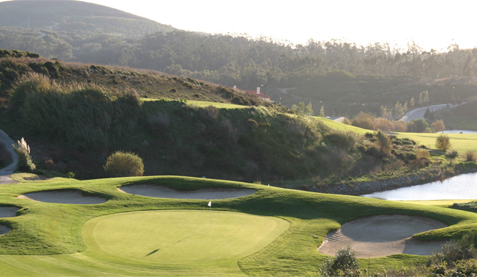 He knows the results of all the Portuguese and wants very much that the Portuguese golf evolves. Of course, he knows a lot about golf, he does not need presentations, he’s been with Butch Harmon (former Tiger Woods coach) and he is the National Team Coach with the most victories in the Portuguese Federation National Team,” said the player. In the Challenge Tour, where the level is higher, things have not gone well in 2018 for him, but he has already showed to be worth more. A few weeks ago, in the Swiss Challenge presented by Suisse Golf Association, he was knockin’ on a top-10 door at the end of a first round of 68. The 79 on the second day made him fail the cut with an aggregate of 5 over Par, but the motivation grew. “The ambitions have been always the same. I never stop believing. I work to be where I want to be, which is on the European Tour,” he says without rashes or false modesty.